Agility Robotics, a startup spun off from the College of Engineering at Oregon State University, has introduced its first robot — and her name is Cassie. 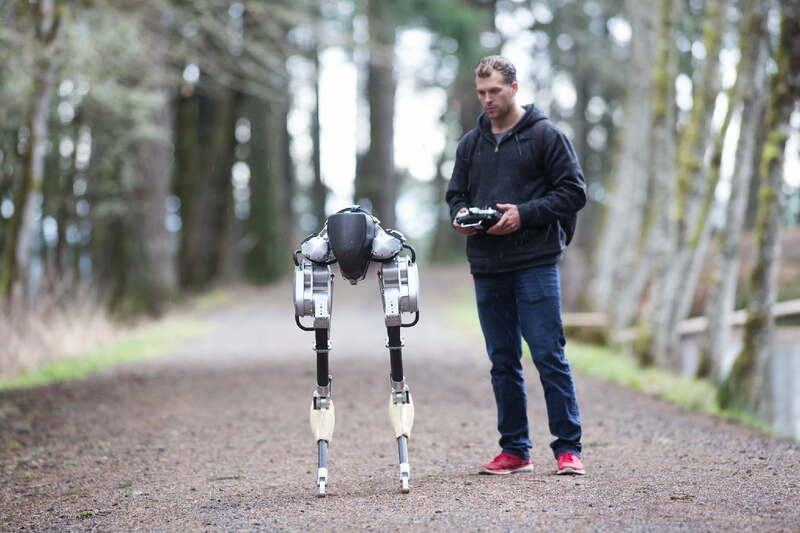 Built with a 16-month, $1 million grant from the Defense Advanced Research Projects Agency (DARPA), Cassie boasts hip joints with 3 degrees of freedom — much like that of a human. She can move her legs forward, backward, side to side, rotate them both at the same time, and even work efficiently in snow and rain. The result is a highly energy-efficient robust walking machine that could have a broad range of applications, from search and rescue missions to home deliveries. The efficiency of walking is not just about solving a neat math puzzle, though. By prioritizing cost of transport (the amount of energy it takes to move a certain mass a certain distance), Cassie doesn’t require a bulky battery pack or constant charging. While Cassie is currently available, Shelton said that it may be a few years before we start seeing a version of the robot on our street corner. Over the next six to nine months, the plan is for Cassie to be pushed out to researchers in the academic and industrial worlds. After that, she will be presented as a possible alternative to commercially available ground vehicle platforms, such as iRobot’s PackBot, a tank tread-based robot that’s been used by the military for search and rescue missions. Only after that is the idea for her to start popping up in more commercial settings. Don’t expect the final version to look identical to this model, though. “We’re not suggesting that Cassie in its current form is going to be out there as a commercially-available robot; it’s more likely that it will be one of Cassie’s grandchildren,” he concluded.